Platforms at Waterloo Station are being rebuilt and a new level concourse laid to accommodate longer trains to Reading. The work involves bringing five former Eurostar platforms back into service. 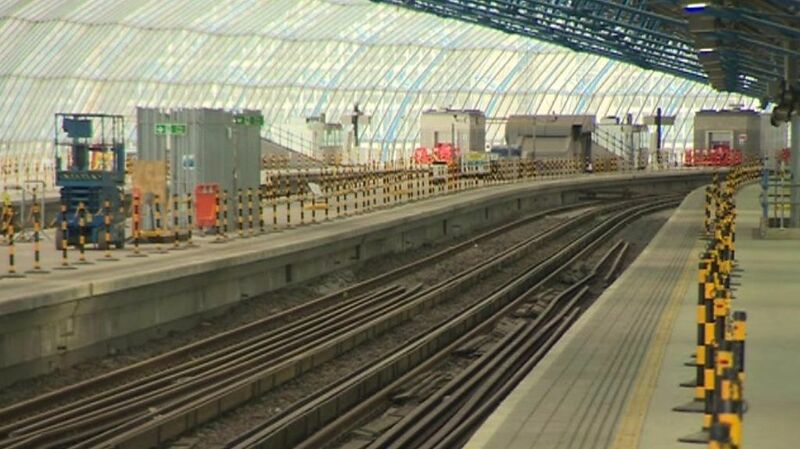 It is the first stage in reworking Waterloo - next summer four more platforms at the other side of the station will be rebuilt to increase the station's overall capacity by 30%, according to Network Rail. Platforms at Waterloo Station are being rebuilt and a new level concourse laid to accommodate longer trains to Reading. Photograph taken from a suburban train leaving Waterloo in the summer of 2005, showing a Eurostar awaiting its departure time at the International Terminal on the west side of the station.